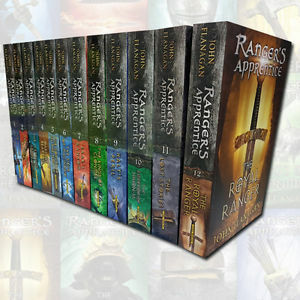 Ranger's Apprentice series consists of 12 books. These are exciting adventure books about an orphan named Will. The series begins in Castle Redmont, where Will and other orphans live. At the age of 15 they will be chosen to become and Apprentice to one of the masters of the various trades and occupations in and around the castle. 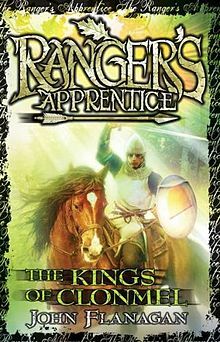 Will wants to become a knight, as his father who he has never known was. 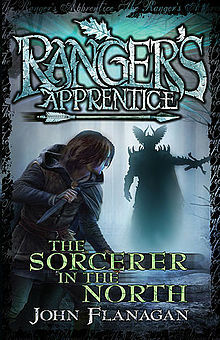 The second book of the Ranger`s apprentice seriesmay turn out to be even more exciting then the first. Horace and Halt, saved Will and Evanlyn from the scouts of the Temujai . The Temujai is a very dangerous tribe. 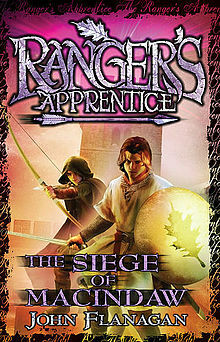 They are clever and agile warriors who are skilled in archery , sword fighting and horse riding. 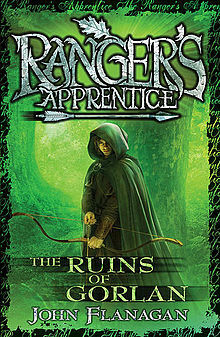 Will and his friends find out that there is a whole army Temujai Warriors in Skandia to conquer Skandia .They decide to protect the country, to prevent the Temujai warriors from invading Araluen . Halt knows the clever tactics of the Temujai and creates a plan to stop them. Will has to train a lot to regain his strength. And of course , there is always the risk that Evenlyn will be discovered as Princess Cassandra. This book actually comes before book 5. 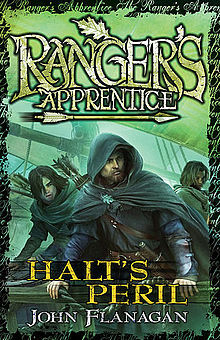 Its about the time Will was an apprentice of Halt. Halt en Pauline are going to marry. They give a big party. During the party an unexpected guest arrives, Svengal, a Skandinavian pirate . He tells that Erik is imprisoned by the Arridi. 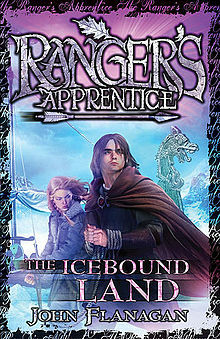 In book 3 Erak has helped will to escape. So Will owes Erak. Therefor Will go`s with a few friends to Arridi to buy Erak free. however Erak appears to be transported to an other city. He is being transported to a prison in the middle of the coutry. To come there he needs to pass a desert. Will and his friends go after him. The desert appears to be a very dangerous place, because of the heat and the sandstorms. Wills horse, Tug, runs away. 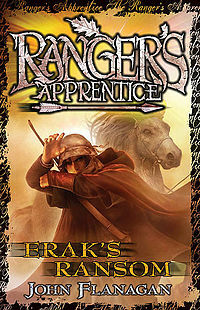 Will try`s to find his horse while the others discover that Erak has been taken by another tribe. They follow them but then they are captured aswell. Now Will has to free his friends ánd find his horse. Can he do that? In this book Halt goes after the religious sect, together with Will and Horace . They have to be very carefull, because Tennyson, the boss of the sect, has hired assassins to kill them. Behind every corner there could be an ambush. At a certain moment they discover they have indeed walked into an ambush. They decide to attack the assassins in their own ambush. That doesn`t work out so well. They do kill one of the two assissans ( The third has already been killed by Will in the last part). Halt gets a gracing shot which doesn`t appear to be so bad. But thats a mistake. Halt loses concious because the arrow was poisoned. The poisoned arrow could mean Halts dead. Will travels a few days to get a good doctor. In this book Horace goes on a trainings mission to Nihon-Ja to learn the fighting technices of the people there. 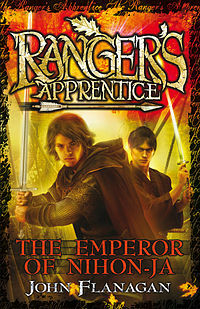 Everthing goes perfect until Horace has to return to Araluen, because then they`re attacked by the rebels who want the emperor. Horace wants to protect the Emperor who also became his friend, so he nearly crosses the whole country to bringt the emperor to a safe location: a Legendary castle. The journey is very dangerous because the landscape is very rough and they have to hurry to stay in front of the rebels. Cassandra is very worried about Horace, who should already have been back, so she travels with Will, Halt and Alyss to Nihon-Ja. By coincidence they`re immediately brought to the fortress where Horace is as well. They try to help Horace defend the emporer. The two girls ( Cassandra and Alyss) go looking for the big "Half-people". and have to cross a very big lake to get there. When they get there they have to fight a sabletoothtiger to earn the trust of the people there. On their journey they get to know each other better and become friends. In the mean time the battle already started at the Fortress. They would have lost immedialy had Will not thought too the people there a new way to fight. When the girls arrived with an army full of half people, the enemy surrendered and the Emperor was safe! 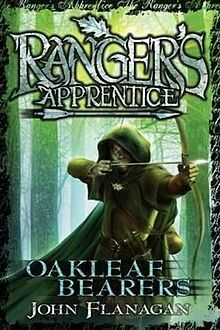 In this book John Flanagan wrote answers to the questions the fans asked, so if you have questions about things in the books you should read it and get some answers. In this book you`ll get some information about Wills past and origin. 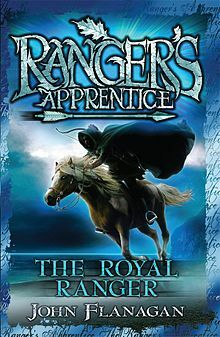 You will also get to know what happens to old horses of the rangers apprentice. ​And of course the grand finale: Will marries Alyss! 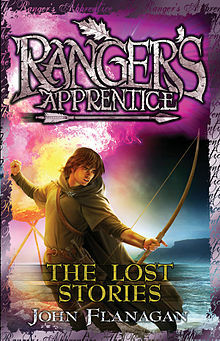 In the beginning of this book everthing is very sad because Will just lost his wife, Alyss. Alyss meant everything to him, therefor Will is very angry and wants revenge. He even put asise his duties to the Rangers, to get revenge. His friends are worried and want to help him, so they have a confrence about him and decide he needs to be distracted. They give him a apprentice. There also is another problem, Horace and Cassandra hace een child. That child is very rebellious and spoiled.She has to learn to be less spoiled, so they decide she will be the first female apprentice. At first she doesnt really care, she thinks it will be a nice holiday to her uncle. However when Will shows her all her rights as a princess have been taken away for a certain period. She gets a wake up call and decides to be a better apprentice. 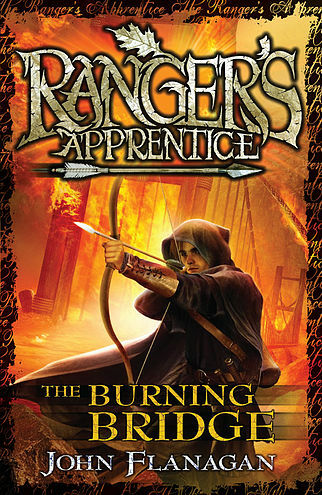 She learns very quick and is a very good apprentice so Gillan, the head of the corps, gives them a task. They try to safe 10 children lifes and on their journey Will finds himself healing from his pain.